John the Baptist was a unique person in the history of God’s plan for redemption, and in the history of the world. He was the last of the Old Testament Prophets, and the first of the Apostles. He was sent before Christ to prepare the world to recognize and receive the Savior. 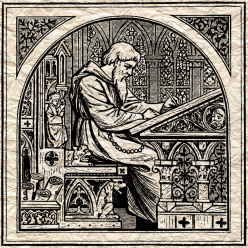 Authors were challenged to fulfill the function of John the Baptist’s office in creative and visionary stories. This volume contains compelling fiction and thoughtful essays from Winston Crutchfield, Don Yarber, Henry Brown, David Crutchfield, Deborah Caligiuri, Justin Lowmaster, Nathan James Norman, Philip Carrol, and Ken Harmeyer. 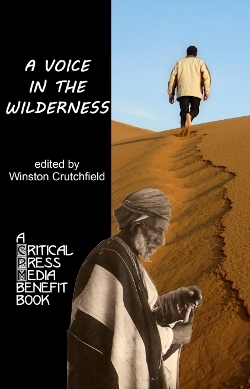 A Voice in the Wilderness is now available directly from Critical Press Media in popular e-book formats and as a paperback printed copy from Lulu. E-book downloads contain a zip file with DRM-Free PDF, EPUB, and MobiPocket/Kindle PRC files, viewable on PCs, smart phones, PDAs, and dedicated e-book readers such as the Amazon Kindle. If you have enjoyed this book, please consider where your monetary donation can be used in your local or global charity organizations. That link is repaired. Thanks Nathan, and thanks for being part of this!